La Samaritaine is a large department store in Paris, France, located in the First Arrondissement. The nearest metro station is Pont-Neuf. It is currently owned by LVMH, a luxury-goods maker. The store, which had been operating at a loss since the 1970s, was finally closed in 2005 because the building did not meet safety codes. Plans for redeveloping the building involved lengthy complications, as the representatives of the store's founders argued with new owners LVMH over the building's future as a department store or a mixed-use development. In 2010 it was finally announced that a Japanese firm had been chosen to redesign the building as a combination hotel/apartments/offices, with a small retail component 1). The store was first opened in 1869 by Ernest Cognacq and Marie-Louise Jaÿ, his wife and incidentally the first clothing vendor at Le Bon Marché, a rival department store. Cognacq began his trade selling ties under an umbrella on the Pont Neuf, then took a space on the rue de la Monnaie, starting out on a small scale with a very small boutique. By 1900, the couple had decided to expand their enterprise, giving birth to the large edifice seen today, the “Grands Magasins de La Samaritaine” 2). Inspired by the commercial methods of Aristide Boucicaut to those of Le Bon Marché, Ernest Cognacq drew upon various sources in organizing the ideal (and ideally managed) department store. 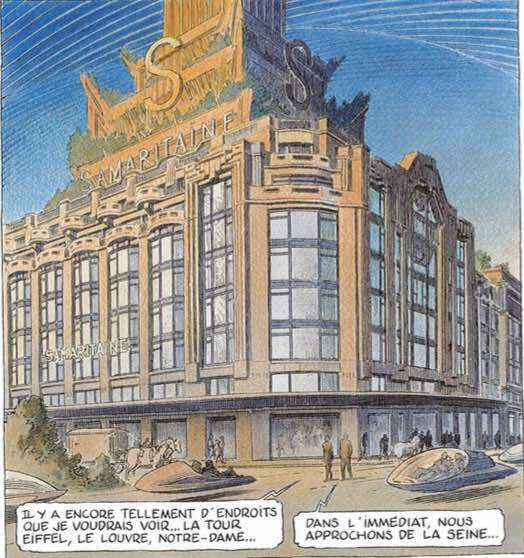 Cognacq arranged La Samaritaine as a collection of individually owned stores, each managed by true “petits patrons” who operated in concert yet autonomously 3). 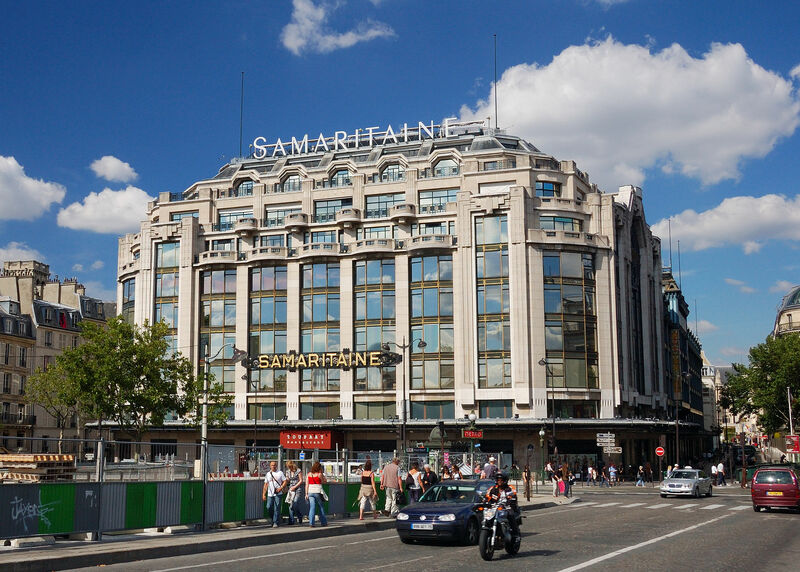 The name La Samaritaine (“the Samaritan Woman”) comes from a hydraulic pump installed near the Pont Neuf, which operated from 1609 to 1813. The front of the pump featured a gilded bas-relief of the Samaritan Woman drawing water for Jesus at the well as described in the fourth chapter of John's Gospel. Cognacq's original stand was on the former site of this structure 4). La Samaritaine featured in the second album of Revoir Paris.